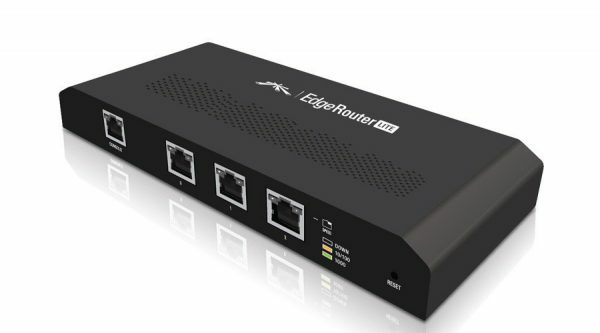 I’ve used a Ubiquiti EdgeRouter Lite 3 port router as my main Internet gateway router for a few years now, and it’s a great little device – very fast, extremely feature rich and regularly improved with new firmware updates. However, I have suffered a couple of incidents within the last year or so where the device has ended up in an unresponsive state following either a power failure or a firmware upgrade attempt. When this happens, the device appears to be working with its lights blinking away, but it can’t be pinged and the web UI doesn’t work. Ubiquiti recommend several steps to reset the device, but these have never worked for me and the only option has been to re-install the EdgeOS software on the device from scratch. It’s also worth noting that the first time I had to do this, the stock USB flash drive installed in the device had failed so I had to replace it with a new one. Due to the very limited space inside the device, the replacement flash drive has to be very small – the Sandisk Cruzer Fit is just the right size. So that I can remember exactly what to do if this happens again, I thought I’d write a quick blog post with details of how I did this using my MacBook Pro. Depending on whether your computer has a DB9 port (which many do not these days) you may also need a serial to USB adapter/cable too. You may see quite a few “checksum bad” messages but as long as the file transfers successfully in the end, I don’t think they are important. Do you want to configure network via DHCP? Do you want to configure network statically? Once the firmware image has been downloaded, you then reboot the router to boot into the new firmware! If everything has worked correctly, you should see a normal boot process output on the serial console and once the router has booted fully, the web UI should be available once more. At this point you need to restore the router config from your last good backup. I’ve owned a Google Nexus 5 phone for just shy of 2 years now (wow, I didn’t realise it had been that long!) and I can honestly say it’s the best phone I’ve ever had – the screen is a good size (5″) but not too big, it’s got plenty of storage (32GB) and is very responsive. 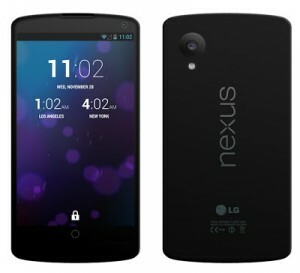 I had the Nexus 4 16GB prior to this, and that was a very good phone too, but the Nexus 5 is better in all departments. However, over the last 3 or 4 months I noticed that the battery was draining more quickly as the day goes on, to the point that I was having to charge it in the afternoon if it was to last me all the way home from work. Not good. Checking the battery usage stats didn’t reveal any obvious rogue apps draining the battery so I put the situation down to the fact that the battery must have been deteriorating, so I bought a replacement battery and fitted it (using an iFixit guide) in the hope that it would restore the previous battery life. Unfortunately replacing the battery didn’t seem to make much difference at all. I’d more or less resigned myself to the fact that I’d need to upgrade to a later phone (possibly the Nexus 5X) when I wondered if it would be worth trying one last thing – a factory reset. It was a bit of a long shot but I figured that there might be something nasty left over from the several successive Android updates that had been applied and by performing a full factory reset it might clear out some rubbish. After backing up apps and data, including using the excellent SMS Backup & Restore app to backup text messages to both Dropbox and Google Drive I carried out a factory reset. This took a fair bit longer than expected (around 45 minutes) but once completed I rebooted the phone and proceeded through the initial setup again. I then restored the main apps I actually use – taking the opportunity to get rid of all those I hardly ever open – along with my text messages. After charging the phone overnight I was eager to see what, if any, difference it had made… and to my delight I found that battery drain throughout the following day was nowhere near what it was prior to the factory reset. Whereas I would previously have been looking at only 30% battery capacity in late afternoon, I was surprised to see a significantly improved 80% left. Repeating the same test the following day saw very similar results, so it is looking very promising so far. So, if you too are experiencing very poor battery life on your Nexus 5 running the latest versions of Android, I would seriously recommend considering performing a factory reset. It’s been a few days since performing the factory reset and I’m very happy to report that battery performance continues to be amazing! A couple of friends of mine who were also experiencing very similar battery drain problems have also carried out the same factory reset and they too report results consistent with mine. So get doing a factory reset on your Nexus 5 if you are experiencing battery drain problems! As readers of my previous blog posts may know, I’m all for being energy efficient – primarily because of the savings that come with using less energy more than anything else! We’ve got a ground source heat pump as our sole source of heating and hot water, accompanied by a 4kW solar PV array; the newer barn conversion part of our house uses modern insulating materials and has underfloor heating throughout; and the loft space in the original slate roof barn conversion part of the house has been beefed up to 300mm of Knauf Earthwool insulation. Although we’ve improved energy efficiency and made considerable savings by doing all of the above (we now use around 30% less electricity compared with previous years) one area that was still a large drain on electricity was lighting. Most of the lighting in our house still uses either classic incandescent bulbs or the newer slightly more efficient eco halogen bulbs. We do have some LED lighting, for example in the architectural spot lights illuminating the timber frame roof in the thatched barn conversion, garden patio lighting and kitchen under-shelf lighting. I also recently replaced the two 100W globe bulbs in the large Original BTC Titan metal pendant lights in the kitchen with Megaman 18W globe bulbs which will add to the overall savings. However, the bulk of the lighting is still old technology. Most of the remaining lights in the house are exposed metal dimmable wall lights with visible shadeless 60W candle bulbs. The fact that they are dimmable 60W candle bulbs has meant that I have struggled to find suitable LED replacements… until now. Having been impressed with the Megaman LED bulbs bought so far and also by their good reputation, I decided to try a couple of their 7W dimmable warm white 400 lumen candle bulbs (model number LC0607dv2-B22-2800K). Even though these are marketed as equivalent to 35W non LED bulbs I was pleasantly surprised to find that they were nearer to the existing 60W bulbs than I had expected at full brightness. Older style leading-edge dimmer switches don’t work well with LED bulbs so after a bit of research I decided to upgrade our existing switches with Varlight V-Pro replacements. 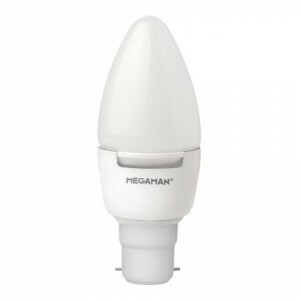 These are recognised as being quality dimmers and are even recommended by Megaman themselves. The switches are also configurable so you can switch between 2 or 3 different trailing-edge / leading-edge modes and can also set the minimum and maximum brightness levels – clever stuff! After trialling these bulbs and dimmer switches in one location I was happy enough with the results to bite the bullet and upgrade two rooms – a total of 10 bulbs and 2 dimmers, at a cost of around £170. So, let’s look at some electricity usage and cost savings as a result of this upgrade. So, in just one room we can making a saving of over £69 a year! It might not sound a lot, but when you apply the same upgrade to further rooms the savings start adding up. And it’s also worth bearing in mind that the life of quality LED bulbs should far exceed that of incandescent or eco halogen bulbs. I’ve used Mozilla Thunderbird as my desktop mail client of choice for years, switching from Microsoft Outlook because of its initially poor support for IMAP after I first switched from a POP3 to IMAP model for all my locally hosted mail accounts. I’ve never really had many problems with automatic Thunderbird updates in the past, but the recent Thunderbird version 38.1.0 update caused me some major problems. One of these was that it broke SSL connectivity to my Courier IMAP SSL service across all platforms – OS X and Windows. After a lot of digging I eventually found the cause of the problem was a tightening of security around key lengths and I had to tweak the dhparams.pem file in my Courier installation. This blog post discusses how to do this. After fixing this Thunderbird 38.1.0 was able to connect again over SSL. The second problem was limited to OS X and this resulted in Thunderbird becoming unresponsive most of the time. Again after a lot of Googling I found that the cause was the Google Birthdays calendar configured in Lightning.After removing this calendar, Thunderbird became responsive again. Hopefully this info might save someone else some pain if they experience the same problems. I’ve recently been using Markdown in conjunction with Metalsmith to create some new static content web sites (more on this in a future post). IntelliJ IDEA, IMHO the world’s best IDE for Java/web/Python/PHP (and many more languages/technologies) supports all the popular web technologies and is a joy to use most of the time. However, I came across an annoying little problem recently when I noticed that line breaks were missing from my Markdown generated content. Markdown uses 2 trailing spaces on a line to signify that a line break is required, and it transpired that IDEA was stripping these trailing spaces from lines when the Markdown file was saved! The default setting is set to strip trailing spaces so simply select “None” here and your Markdown line breaks will remain intact! It’s been over a month since I got my new MacBook Pro so I thought I’d post a few thoughts on my experience with it so far. First, I’ve got to say I love it! It exudes quality in nearly every area. the quad core Intel Core i7 processor, 16GB RAM and 512GB flash storage make it fly! On the OS / software side I’ve found working with OS X on a daily, development-oriented basis quite refreshing. The multiple Spaces (desktops) works very well and intuitively with multi-finger trackpad swipes to switch between them. I’m also using the Mission Control (formerly Exposé) feature a lot to see a birds eye view of all applications I have open, and the App Exposé feature to see all windows opened by the current application. The recent Mac OS X 10.10 Yosemite upgrade looks really nice and makes it even more pleasant to use. When I’m travelling, I rely on the mobile network connection from my Nexus 5 phone for internet access. With my old Windows laptop I used to use a wifi hotspot on the phone to connect, but on the MacBook I’m using the Bluetooth connection which seems easier and very stable. I can has MacBook Pro? After years of owning cheaper, lower quality laptops I’ve decided to go for quality with my next laptop by getting a MacBook Pro. I’m now the proud owner of a MacBook Pro with 15″ Retina screen, 2.5GHz quad-core Intel i7 CPU, 16GB 1600MHz RAM, 512GB PCIe based flash storage and NVIDIA GeForce GT 750M with 2GB DDR5 memory. And I’m loving it so far. The two things that I’m most impressed about so far are the instant on/off capability, and also the vastly superior battery life. My old HP Pavillion dv7-3112sa 17.3″ monster running Windows 7 Home Premium has served me well over the last 5 years but no more will I have to heave it out of my bag while doing the long distance commute by train and sink back into my seat in embarrassment as the spotty kid opposite me pulls out a shiny MacBook. Ha! It’s going to take me a while to get my new OS X based software development environment and workflow set up but I’m sure it will be worth it. If you’ve read any of my previous posts you’ll know I’m a long time fan of the HP Microserver. 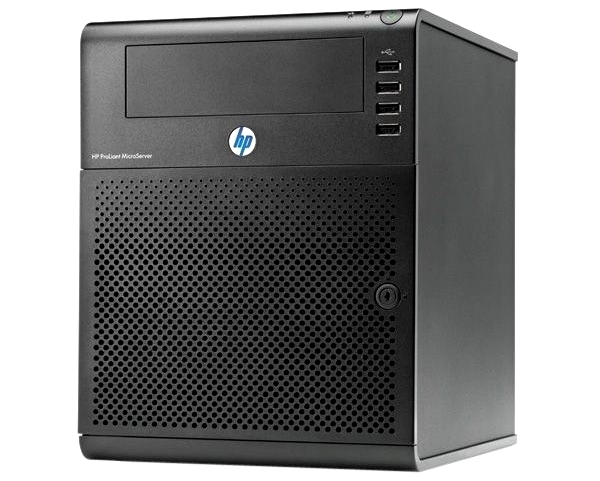 It’s an extremely versatile little machine that can be used for many different purposes (one of mine is a FreeNAS based NAS, another is a VMware ESXi virtualisation test machine) and with the various cashback schemes that HP has offered throughout its life, it’s worked out to be a very cost effective option. Although it’s designed as a home/small office server I know many people have used them as desktop PCs. I recently built my parents a basic Windows 7 desktop PC in a day, at very short notice when the main low-power PC they used to run their newsagents died. I had a spare N54L G7 Microserver from the last HP £100 cashback promotion so I thought I would see how effective it would be as a desktop PC for myself, with a view to it possibly acting as a cheap replacement for my 8 year old Windows XP Pro based PC which I was sure was on its last legs. This ancient PC had an Athlon 64 X2 dual core 4400+ CPU, 3GB RAM and a single NVIDIA GeForce 7800GT video card and has served me well for all these years. It’s graphics capability has changed somewhat over its life – I used to do a fair amount of flight simming on it using Microsoft Flight Simulator 2004 and FSX… it started out with a single 7800GT card, then a second identical 7800GT was added to form an SLI pair, then both of these were replaced with a single 8800GTS card which eventually blew up and so finally I reverted back to a single 7800GT. When I looked at the benchmarks for the Athlon X2 4400+ CPU and compared these with the dual core Atom in the N54L microserver, the microserver came out more powerful! And modern GPUs are much more poweful than the 7800 so it wouldn’t be difficult to improve the overall specs on a budget. After installing Windows 7 64-bit to the bundled 250GB hard drive I ended up with a usable desktop PC, albeit with only the stock 2GB RAM and using the on-board VGA-out only graphics and no sound. I then installed a few of my frequently used apps and trialed it for a few weeks. 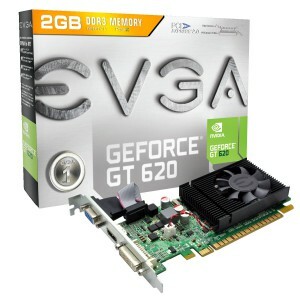 For the graphics I decided to go with the reasonably priced EVGA NVIDIA GT620 2GB DDR3 PCE-E graphics card for £42 from Amazon. I’d read reports that the 1GB version of this board had been tested successfully in the microserver so figured that the 2GB version should be almost identical. It’s a low profile card with a large heatsink and small fan so hoped it would fit in the limited space available. When it arrived I was relieved to find that it fit with no problems and worked just fine, increasing the Windows Experience Index for the graphical elements by several notches. You can just hear the fan on-board this card so it does add to the overall noise a little, but I wouldn’t describe it as loud and it’s way quieter than the big old cards in the old PC! For the sound I opted for a bargain basement Dynavision USB sound adapter for the princely sum of £4.99 from PC World! I also took the opportunity to swap out the 2GB RAM for 8GB of Kingston non ECC RAM from another of my spare microservers, a move which gave Windows more room to breath. After these relatively minor upgrades the resulting PC felt very responsive, much more so than my ailing Windows XP Pro machine. I’ve never owned an SSD before and have wanted to give one a try for a long time, so now seemed like the perfect opportunity in an attempt to make this little PC even more responsive. I did plenty of research and decided that the Samsung 840 Pro would be the best fit for this PC. I could probably have got away with a lesser performing drive given that the microserver’s SATA ports are only SATA II 3Gb/s and not SATA III 6Gb/s but I’d read no end of good reviews of these drives so decided that was the one to go for. I deliberated over what size to get but in the end thought that 128GB would not give me much headroom and so went for the 256GB model. In order that I could mount the SSD in one of the four available drive bays I purchased a NewerTech Adaptadrive SSD to 3.5″ mounting adapter from Ebuyer. 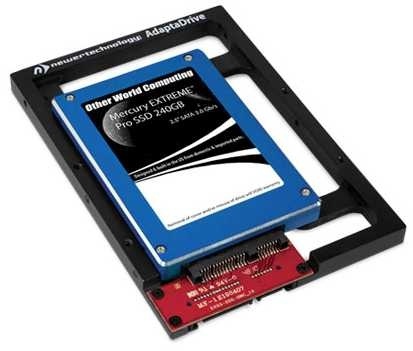 This clever little adapter bracket screws to the SSD so that the SATA data / power connectors and drive mounting holes are in the same position as a 3.5″ drive such that it can be mounted directly in the microserver drive bay caddy. This would mean I didn’t have to use up the optical drive bay with the SSD or have to route the eSATA connector back into the case. Given that I’d already got a fully tested Windows 7 installation on the 250GB HDD, I used the excellent bundled Samsung Data Migration tool to do a clone of the existing installation onto the SSD. This was very straightforward and took around 20 minutes for the 85GB Windows installation. Once the cloning had completed, I shut down the microserver, removed the 250GB HDD and rebooted, setting the SSD to be the boot drive in the BIOS. On reboot, Windows started as expected and from that point onwards felt even more responsive than before. So all things considered, this little experiment has resulted in a very usable and responsive little desktop PC and a more than suitable replacement for my old Windows XP dinosaur. She had been at home all day apart from a short visit to the local doctor’s surgery with my wife. She remembered using the iPod before going to the doctors, but couldn’t remember if she took it with her. So – it was most likely to be somewhere in the house, in the car or left at the doctor’s surgery. However, by the time she realised it was missing, it was past the doctor’s surgery closing time so we couldn’t call them to ask if anyone had found it. The first thing we did was to try calling the iPod from another iOS device using FaceTime. We tried this several times and listened for the ring tone each time but this proved fruitless. Armed with this knowledge, I logged into the admin pages of each of the dd-WRT based wireless access points in the house and grounds (there are 5 in total!) and checked the wireless client lists of each. This listed the MAC addresses for each connected client. I then checked the messages.log on my Debian Linux server which provides DHCP for the whole of my network and found the DHCP entries relating to the missing iPod. The most recent DHCP request/offer/assignment sequence was only a few minutes earlier so this was further evidence that the iPod was still recently alive and on the network. This also gave me the MAC address of the iPod which I could use to determine which access point it was connected to. Checking the access point connected client lists again I found the relevant MAC address and this showed it had a signal strength of 50%, so it was pretty close to the access point in the utility room at the far end of the house. We were getting warmer! And finally, after having a good search in that area we found the iPod down the side of the cushion in a comfy chair in the corner of the kitchen!